Dallas Campbell is an actor and writer whose curiosity and original mind have led him into a parallel career as one of TV’s freshest and most sought after presenting talents. His television career began on The Gadget Show (Channel 5) followed by BBC1’s prime time science magazine show Bang Goes The Theory, and he has gone on to present landmark projects across the BBC and beyond. He has completed The Treasure Hunters (BBC1) with Ellie Harrison which saw them on the trail of earth’s most prized and valuable treasures both natural & manmade. Supersized Earth (BBC1) The BAFTA nominated series that examined the scale and pace WITH WHICH humans have transformed the Earth in a generation. Airport Live (BBC2) Three days of unique access ‘airside’ at Heathrow Airport with Kate Humble & Anita Rani. Egypt’s Lost Cities (BBC1) A feature-length documentary that used satellite technology to hunt for undiscovered historical treasures, and a six part series for National Geographic Time Scanners which used laser scanning technology to uncover the secrets of the world’s most famous historical buildings, from Machu Pichu in Peru to St Paul’s Cathedral. On BBC Four Campbell is a regular presenter of the Horizon Guide series that covers a wide variety of big science subjects from dogs to quantum mechanics. Voyager: Beyond the final frontier – The story OF NASA’s Voyager mission. The Drake Equation: The Search for Life – an investigation into the science and history behind our efforts to find life beyond the earth. Away from television Dallas is just as comfortable entertaining live audiences and has hosted some of the biggest BBC branded live events. Dr Who’s 50th celebrations at London’s ExCel arena, Stargazing Live, and a two-summer national tour of Bang Goes the Theory. Dallas Campbell is a regular contributor to the BBC’s Science magazine Focus, the Times’ Eureka magazine, AND The Observer. 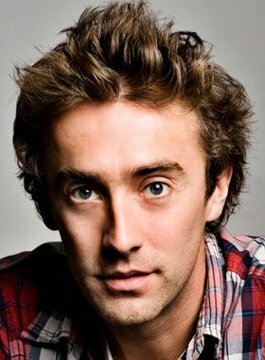 He has appeared on BBC Radio Four’s comedy science show Infinite Monkey Cage, with Robin Ince and Brian Cox, Loose Ends with Clive Anderson, and Shaun Keavney’s Breakfast Show on BBC6 Music. Dallas Campbell is available for a variety of corporate work including awards hosting, conference facilitating and presenting in-house corporate videos.